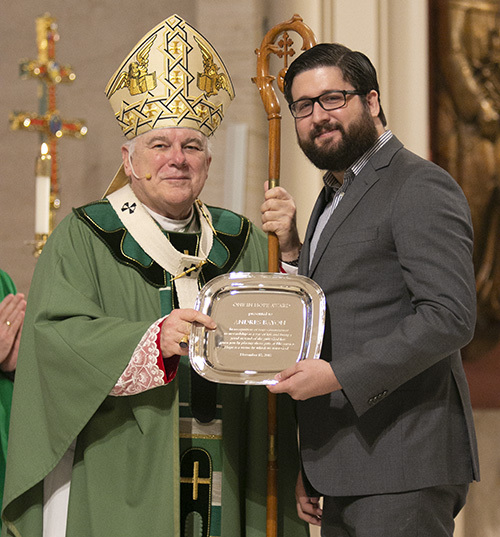 Photographer: ANA RODRIGUEZ-SOTO | FC Andres Bayon of Prince of Peace Parish in Miami receives this year’s One in Hope award from Archbishop Thomas Wenski. 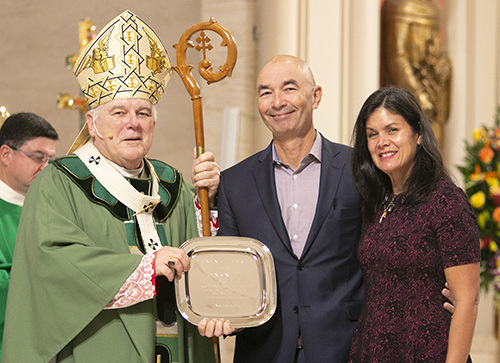 The award highlights his commitment to receiving and sharing God’s gifts responsibly. 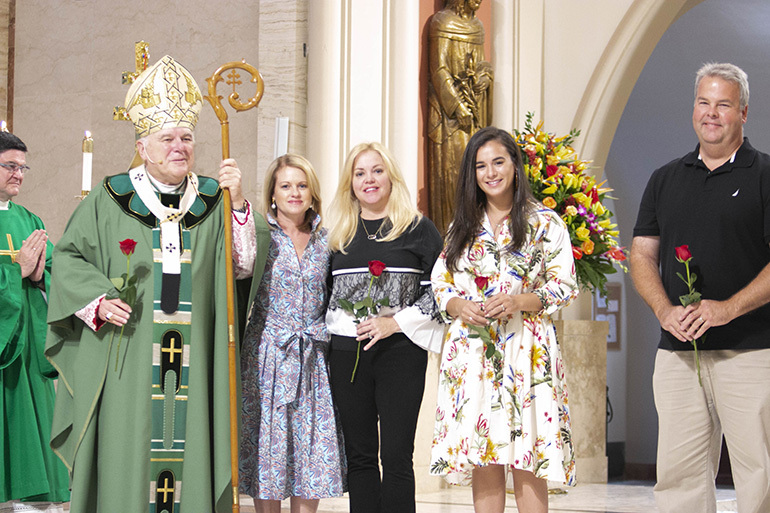 The annual ThanksforGiving Mass acknowledges those who have consistently donated to the Archbishop’s Charities and Development appeal, and recognizes new members of the Archbishop Coleman Carroll Legacy Society, who remembered or promised to remember the archdiocese in their will. Photographer: ANA RODRIGUEZ-SOTO | FC New members of the Archbishop Coleman Carroll Legacy Society pose with Archbishop Thomas Wenski during the annual ThanksforGiving Mass. The roses recall the words of St. Therese of the Little Flower, who said she wanted to spend her eternity in heaven doing good works on earth.